My GBBO WhatsApp group will soon be coming to life again as the new series kicks off soon! Whilst I can't wait for the baking show to start, the new series ad premiered last week and has many fans in uproar again about the programme moving to Channel 4. To put it mildly, it's definitely not the Bake Off brand as we know it! In fact, it's a very distinctive look from the BBC series which was less bold, but quintessentially British baking. The look and feel for this series appears to be more experimental and quirky, reminiscent of other Channel 4 programmes. The choice of presenting talent reflects this too, as Noel Fielding and Sandy Toksvig will be taking on presenting duties from Sue Perkins and Mel Giedroyc. From a communications perspective, the producers of the show have a challenge on their hands. Anyone who has ever managed a re-branding campaign for a beloved brand would sympathise here. On the one hand, they are looking to retain the 14m viewers who watched the last series, which aired on BBC1. On the other hand, in the words of Channel 4 boss Jay Hunt, they are looking to bring a “modern and future-facing" revamp to the show and the trailer reflects this. The producers are walking a tight-rope, and from the initial feedback on social media it would suggest fans are fuming the old brand has gone. 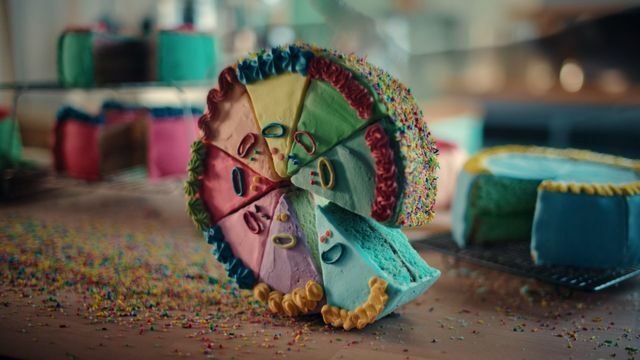 Channel 4 has begun marketing its much-anticipated series of the Great British Bake Off with a trailer starring an array of singing ingredients and baked goods. Can independents scale and keep brand love? Is it the end of the Christmas TV ad as we know it?